SHEESH! IS THIS THE UK’S FIRST CHOCOLATE KEBAB? 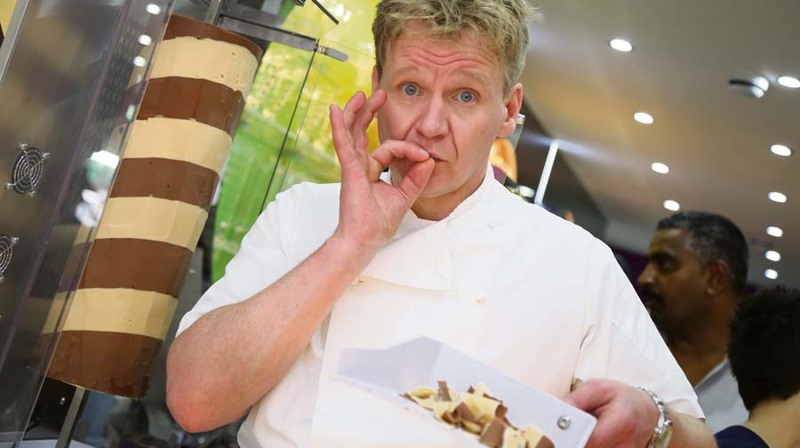 The skewered rotating cylinder of white and milk chocolate, which is shaved, just like a usual doner kebab, but then put into pancakes, was demonstrated by Gordon Ramsay lookalike Martin Jordan, who also served customers. The parlour, Flavours, opened in Jamaica Road last Friday. £4-a-dish Summer FoodFest is Returning! Come visit us.